When your nickname is "Animal" logic dictates that you are no choir boy, and no one would ever accuse Brazil's Edmundo of being that. This week in Football's Mavericks we look back at the colourful career of the former Brazilian international who is arguably more famous for his combustible nature than his on the pitch accomplishments. Red cards, fights with teammates and opponents, a drunken chimpanzee, and claiming that he hadn't pointed to his balls in front of a group of fans, but rather he "was stretching his groin" are what "O Animal" is most famous for. Born in April 1971 in Rio de Janeiro, Edmundo began his career with Vasco da Gama, his first of five separate spells at the club. After one full season at Vasco he was transferred to Palmeiras and it was there that his disciplinary problems began to come to the fore. Despite helping the club win the Campeonato Paulista, the Torneio Rio-Sao Paulo and Campeonato Brasileiro, along with being selected for Brazil, he was red carded five times in his first year with Palmeiras. He was also lucky to escape a lengthy ban after shoving his hand into a referee's face after one of his sendings off. This act of madness though did keep him out of Brazil's successful 1994 World Cup squad. The following season wouldn't see him learn his lesson though as he was banned, and subsequently investigated by the police, for sparking a mass brawl against São Paulo and then later placed under house arrest in Ecuador after smashing a television camera following a missed penalty. After falling out with management and most of the players at Palmeiras, the talented, but volatile Edmundo was transferred to Flamengo. Proving that he hadn't mellowed after the move he wasn't at the club long before he sparked a massive brawl, involving most of the players and both coaches, during a Supercopa Libertadores victory at home to Argentina's Velez Sarsfield. 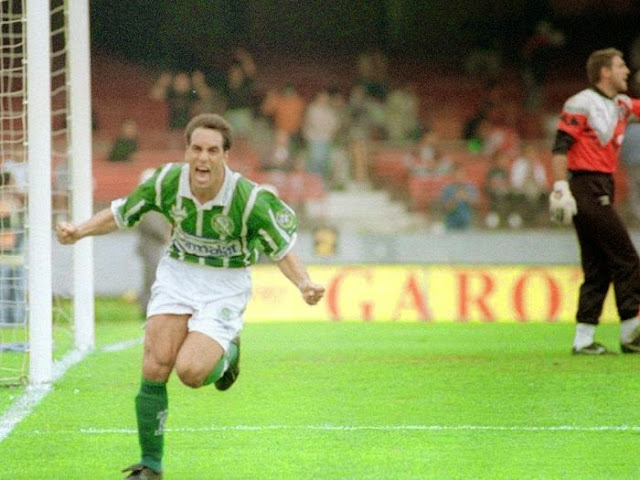 In December 1995, Edmundo was involved in tragedy as a car he was driving killed three people. He was later charged with drunk driving, although the amount of alcohol he had drunk has often been disputed. On the football side, after further issues he bounced over to Corinthians and then back to Vasco, before finally engineering a move to Fiorentina in Italy's Serie A. Along the way though he had worked his way back into the Brazilian team that won the 1997 Copa America, and was selected for the 1998 World Cup. After only appearing as a sub in one group stage match he was involved in one of the more controversial incidents in World Cup history. On the eve of the 1998 Final, Brazil's talisman Ronaldo suffered what from all accounts was a seizure and was left out of Mario Zagallo's starting eleven. Edmundo was then inserted into the side in his place. However, just prior to kickoff for reasons that have never been adequately explained, a clearly unfit Ronaldo was put back into the side ahead of Edmundo. Being dropped from the biggest game of his life didn't sit well with "O Animal" and he freaked out in the Brazilian dressing room, thus adding to the chaos of their preparations for the World Cup Final. The hosts France would go on to hammer Brazil 3-0, with a listless Ronaldo proving to be a non-factor. 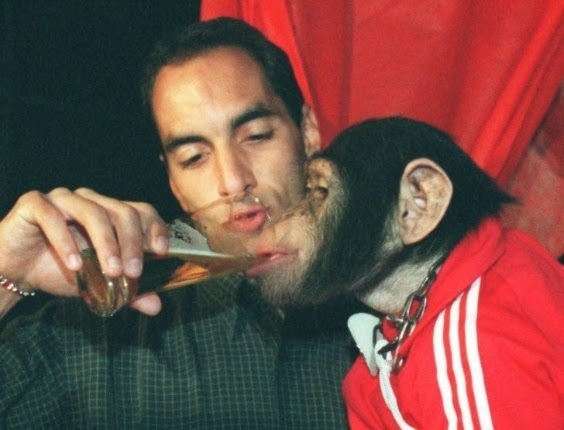 Back at club level, Edmundo continued to have issues with his discipline as he first insisted on having the right to leave Fiorentina to attend the Rio Carnival written into his contract, but would then end up sporadically leaving the club to return to Brazil whenever he felt like it anyway. Despite his issues he did hit a few runs of good form at the club, and managed to help Fiorentina to the top of the table in early 1999, before falling out with management and teammates again after leaving the club in the lurch with another of his self scheduled mid-season holidays in Brazil. Back at Vasco he found himself in hot water with animal welfare groups after being accused of getting a chimpanzee named Pedrinho drunk on Whiskey and Beer at a birthday party for his son. Edmundo also became involved in a power struggle with former international teammate Romario at Vasco and the two former friends refused to even speak to each other on the pitch. The player also had written into his contract that Vasco could not interfere in his private life, which led to numerous nights enjoying Brazilian nightclubs. After the trauma of the 1998 World Cup Final, "O Animal" barely featured for Brazil again and spent the last decade of his long career bouncing between clubs. He found brief success in Japan's J-League with Tokyo Verdy when he netted 18 goals in 31 appearances, but before long he longed to be back in Brazil and finished out his career there in 2008 with his beloved Vasco da Gama. Despite a career marked with controversy and temper tantrums, which led to him changing clubs 17 times in his 18 year career, Edmundo managed 190 goals over his career and is still seen as an idol by many Vasco supporters.